This flush mount will update your home with its eye-catching design. Featuring an olde bronze finish this fixture will accommodate a variety of dicor styles. With its easy installation and low upkeep requirements, this flush mount will not disappoint. Durable cast aluminum lighting fixture features an opal glass shade that installs with no exposed hardware. Vapor-proof gasket and porcelain socket for long-life performance in harsh environments. Durable anodized finish for low maintenance service. 1-Light Olde Bronze Flush Mount - 8 inch This flush mount will update your home with its eye-catching design. 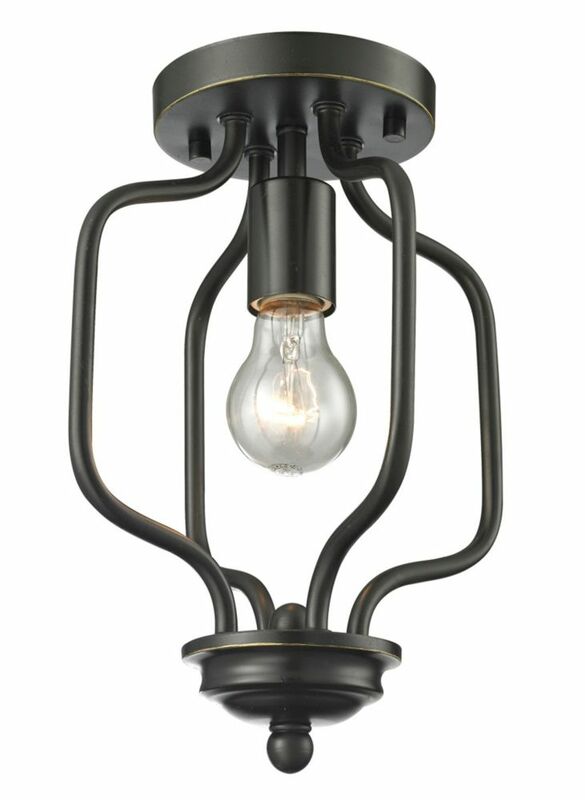 Featuring an olde bronze finish this fixture will accommodate a variety of dicor styles. With its easy installation and low upkeep requirements, this flush mount will not disappoint.